Our program offers students the scholarly resources and intellectual energy of a major research institution in an environment that permits close personal attention and open exchange. Students in the department interact with a faculty of active scholars and teachers whose publications and professional engagements continue to garner national and international recognition. Our faculty’s achievements have been widely recognized through a variety of awards, prizes, editorial positions, and other honors. English department faculty hold fellowships from institutions like the National Endowment for the Humanities, the National Humanities Center, and the American Council of Learned Societies; the Fulbright, Guggenheim, Mellon, and Rockefeller Foundations; and the Huntington, Newberry, and Folger Libraries. 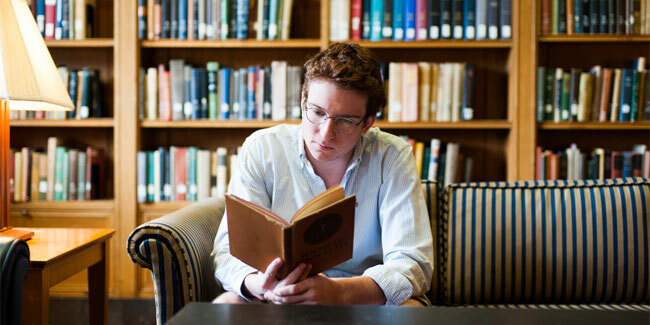 Centrally committed to literary study across the full range of British and American literatures, our department is known for its combination of aesthetic, formal, and historical analysis—blending both close-reading and theoretical approaches.